It's the third week of preschool. Everyone seems to be getting used to a routine together. One day, when nobody expects it, one of your "I'm here! I Love School! I'm ready to face the day!" preschoolers grabs Mom's ankles and won't let go. Crying. Pleading. "Please! PLEASE! MOM--DON'T LEAVE ME!!!". Mom looks at you with that deer in the headlight look because even she is not sure where this came from! Separation anxiety can appear in many forms. And, it does not happen ONLY during the first two weeks of school. 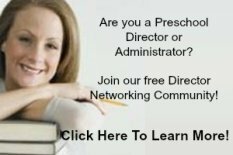 Most of your preschoolers will transition fine into the classroom. However, you will have a few that do not. They may sit quietly on a chair and not intereact. They may cry. They may have an all out breakdown. 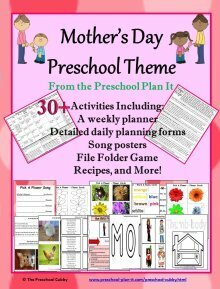 What's a preschool teacher to do? Separation Anxiety: Let's Take a Closer Look! Listing what teachers can do. Listing What parents can do. "A child's apprehension or fear associated with his or her separation from a parent or other significant person." It is the fear of the unknown. And let's face it. In preschool, there are many unknowns for children because so many things are new. And new=unknown! They are in a new building, facility, environment. They are around other children they have not met before or have not seen for several weeks or months (such as during winter breaks, holidays or summer break). They are around adult strangers: adults other than their parents or primary caregivers. They are in a large group for the very first time in their lives. 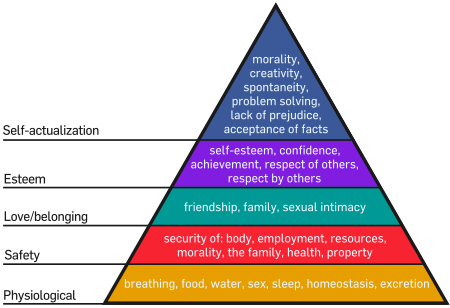 Let's talk Maslow's Heirarchy of Needs. Many of us have taken classes where we studied his theories along with Piaget and others. Maslow stated that there is a hierarchy of stages of human development that we all go in and out of throughout our lives. Once one has been met, and we are secure in that need being met, we move on to the next level of growth. Physiological--These are our basic needs: water, food, sleep, breathing, etc. Safety--Once our basic needs are met, we look for our safety needs to be met. For children, this would be their families, pets, and their own bodies. Love/Belonging--Once our basic and safety needs are met, we grow into the stage of love and belonging. This is as crucial as our basic and safety needs. This stage is developed by building trust--with other children and with new adults in our lives. 4. Esteem--Once our basic & safety needs are met and we feel we are loved and belong, we then develop confidence in ourselves and build respect for ourselves and for those around us. 5. Self-Actualization--With all the previous needs and developmental areas intact, we can then grow and develop even more such as by developing problem-solving skills, spontaneity (being flexible! ), etc. This heirarchy is not one that we "climb", reach the top and stay. Life happens and impacts a certain area and brings us back to that level of need. For example, we may be in between or at Esteem and Self-Actualization when the death of a family member occurs. This will impact us to the point of our own safety needs (remember, that includes family) and our sense of where we belong is impacted. During the grief process, it can take a while for us to develop a new routine and find a "new normal" that allows us to develop that sense of esteem and actualization again. For preschoolers, starting school after a summer home or after being home for 3 years with no large group experience brings children back to Stages 1 and 2! Will my needs be met? Can I trust these new adults? Will I have friends? Will I eat here? We have all seen, at least once, all out separation anxiety attacks! As in the scenario at the beginning of this article, you may have helped to "peel" a child off their parent or had a child (or two or three) who cried and/or screamed. Sometimes we miss the silent cases in our classrooms. The children who sit by themselves and look at a book or a toy or nothing at all. They don't interact with the other children. They may hesitantly nod answers (if they respond at all) to the teachers. Try your best not to let these children fall through the cracks. The more vocal children need more immediate attention at drop off time. However, be sure to spend some intentional time building trust with your silently anxious children as well once your group is calm. Separation anxiety does not only happen at the beginning of the day. 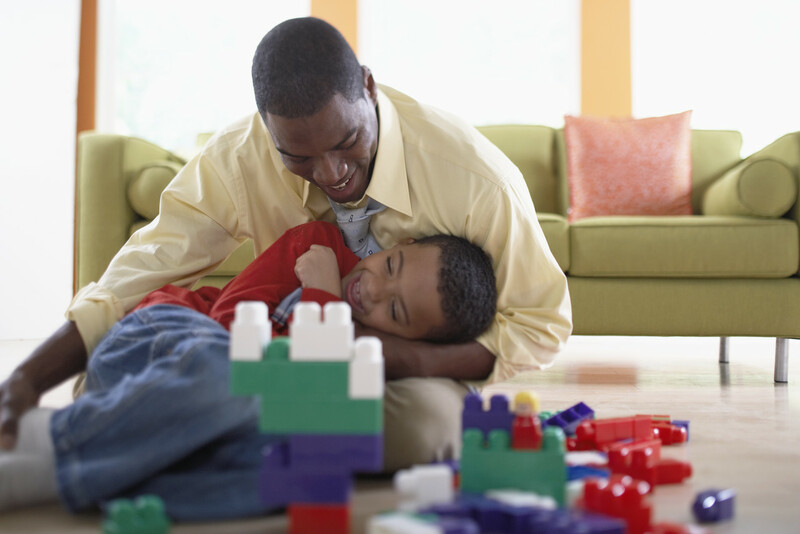 Children may respond to this anxiety when their parent or caregiver picks them up. They may run to the parent and cry. They might act out by running around the room. They might become defiant and not acknowledge or respond to their parent at pick up time. There is no clear cut answer for this. At the beginning of the school year, separation anxiety can last from one day to three weeks. It can go away and then return one or two months into the school year. Many times it returns after a school break or a vacation. In some children, it will return after a weekend. I have, for the past several years, worked in a half-day program where the children are in preschool either Tuesdays and Thursdays (for 3 year olds) or Mondays, Wednesdays and Fridays (for 4 year olds). Because they are only in the environment every other day, it is common to see this anxiety for up to 3 weeks--and yes, I DO let parents know that this can happen! In full time programs my experience has been that children work through this within 2 weeks. There will be a child now and again who does take a very long time. Consistency and working with the family will be key. So, what's a preschool teacher to do? Here are 8 Tips! Acknowledge YOUR feelings! When I child has extreme separation, how do YOU feel? Do you feel unsure of what to do? Sad or down that the child is reacting this way? After all, your classroom is AWESOME and SOOOOOO much fun! And, you LOVE children--it's why you are in the field! How does this child not SEE this?!! If a child this anxious makes you anxious, you will most likely be ineffective in helping him or her transition. Talk with your co-teacher, assistant and aids. Who is better able to help the child(ren) transition? That person should be the primary receiver of children when they are dropped off. This does NOT mean that the rest of the staff brushes their hands of it. It means that the rest of the staff needs to be attentive to all others in the group while the primary person receives the children who need the extra help. 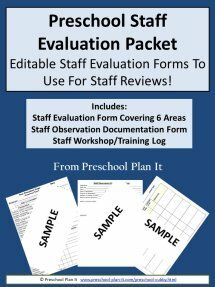 The staff will find it helpful for the director to be present during drop off and pick up time for the first couple of weeks. Ask your director to be there to help. Typically, your director will help with the children who have transitioned rather than with those having a tough time. They are NOT avoiding the conflict! As a director, I get involved if needed. The teacher needs to build the trust with the child and parent. If I am the child's transition person, I will need to be in the classroom in the morning for months. The child's teacher or other everyday staff person should be the person to work on this with the child and or parent. Acknowledge PARENTS' feelings. There is nothing worse than dropping your child off for school and having them react with anxiety. The emotions of the parent can be apprehension, guilt, frustration, anger and helplessness. Realize how difficult this is for them as well. Greet each child and parent at drop off time. Assure them that you will help their child to settle in. Assure them that their child is NOT the first to react this way. Assure the parent that this is very common in preschool. I have, for 20 years, told parents that I have a "7 minute window". If their child is still this upset in 7 minutes, my heart breaks and I will call them! I do not want their child traumatized by school! I want them to love school! But love is born out of trust, and trust takes time! 1. Perhaps you could ______________ (read story, do a puzzle) together. 2. Let your child know that once you are done doing that, you will be leaving and will see them after __________(whatever your last activity of the day is). 3. Let me know when you are ready to leave. Remind your child, "That was a fun puzzle. Mom's going to leave now. Have fun with Miss Cheryl and your new friends. I'll see you after storytime!". 4. When you say you are leaving...LEAVE!!! Don't stay for 1 more puzzle, or 1 more story. 5. Do NOT leave without saying goodbye. This will make the next day even more difficult. I have created an editable letter that you can personalize for your program. 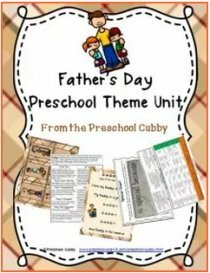 Click here to go to my Preschool Cubby Store to read more! This is a big one. In an attempt to help children transition, many well intentioned comments or statements are made to the child which actually dismiss how they are truly feeling. Our comments and statements won't change a child's feelings. "Don't cry! This is a happy preschool!" "Are those tears? You are a preschooler now! Preschoolers don't cry at school." "We are big kids now, not babies! Let's dry our tears and play!" Again, these types of statements dismiss how they are feeling. Their anxiety has to do with being separated from their family and the fear of this new, unknown place. Acknowledge how they might feel. Some statements that I have seen to be helpful are questions, even if they just nod when you ask them! "You look sad this morning. Are you nervous about Mom leaving?" You can then explain what will happen when Mom leaves and what you will be doing. "Are you nervous about school because you are new?" You can then respond with telling them how you felt on YOUR first day teaching preschool! Or, if it is your first year with this group, tell them! "I'm a little nervous, too. Today is my first day with this group! We can be new together!" Once the parent has left, sit with the child, reassure them that their parent will be back later in the morning or later in the day. And then try and get them involved in an activity that you have available. If the child does not want to interact or get involved, accept that. Offer a quiet choice. We all want to see our students "switch" from crying to playing happily. In time they will. For now, let them be! Offer your arrival activities "There is playdough on the table you can use or there are books and puzzles over here!" Then step aside and let the child think about their options. If they are very adamant and vocal that they do not want to play, really--accept that! Don't force play and interaction. They need to calm down from this anxiety. You can reassure them by saying something like, "I understand you are still upset. When you are less upset. If you feel up to it, you go right ahead and choose one of those activities. We will be cleaning up in a few minutes to all get together for a fun Circle Time!" Another thing that we have, over the years, found extremely helpful is to have a visual schedule that the preschoolers can "read" on the wall at their level. You can show them this and reassure the child that their parent will be coming back after _________(name the last activity of the day). You can show the child while pointing: "Right now we are doing this (point to arrival activities). Then we will have Circle. We will then play and have fun in our centers like dress up, science, blocks, etc. We will wash our hands and have snack and then play in the playground. After the playground, we'll come in, sing some songs (or play a music game) and then read a story. After our story, Mom will be here to pick you up!" 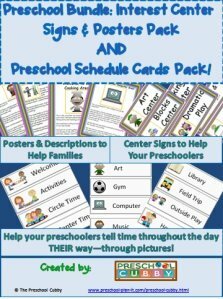 I have created a Preschool Schedule Pack. It has printable cards for all the areas of your day that you can print, laminate and use. It also includes some blank cards for you to add your own, unique activities to. 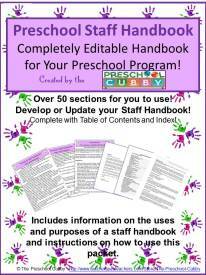 You can read more about this resource by clicking here! I recommend having a Parents' Tips page to hand out to families. It would be ideal if you had a Parent Orientation before school starts. This is a time for parents and teachers only--no children! Holding this for 1 hour a week before school starts can help parents tremendously. During the orientation, address separation anxiety and hand out the tips list. You might also have a Parents' Tips List to hand out the first morning of school. Include the information I listed above in #2: Meet and Greet. 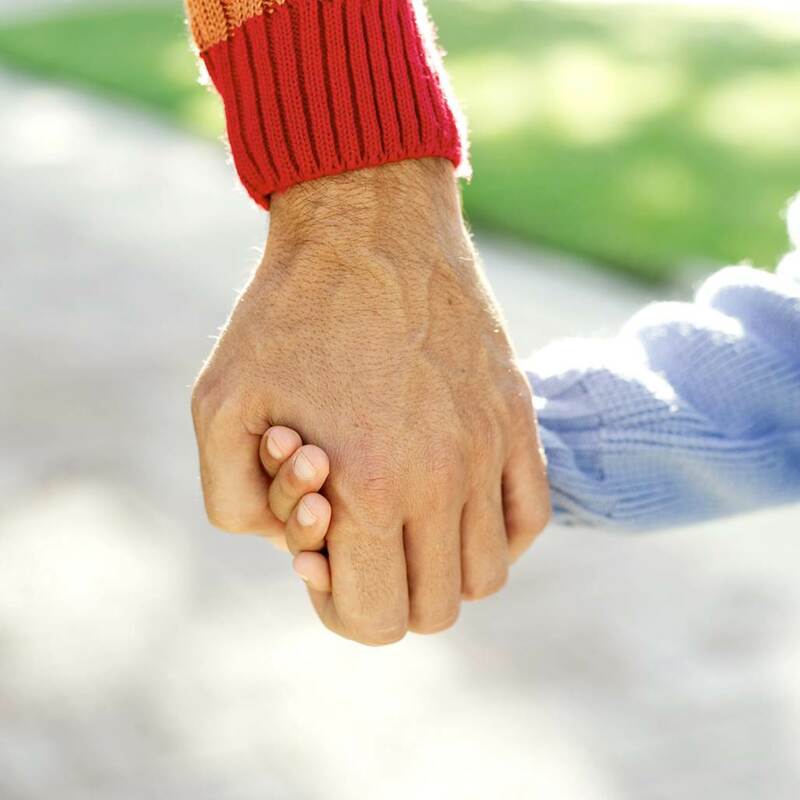 You can also CLICK HERE to go to my article for more information on developing your own Parent Tips List for Separation Anxiety. 6. Call or Text Them! If a child has a tough time being dropped of, that is the vision the parent has in their head all day: My child is crying. My child is sad. My child is angry. Let them know that their child is doing fine a little later in the morning! You can do this by texting them a picture of their child involved in play (do not include other children in the pictures for confidentiality reasons). You might also call the parent(s) of the child(ren) who had a tough drop off. Either ask your director if she can call on your behalf, or have someone cover your room for 5 or 10 minutes so you can do this. Do not call in front of the child. Seriously, this will start it all over again! Make the call quick! "Hi _______. I just wanted to give you a quick call to let you know that _________ is doing great! He (she) is building a castle in the block area with some of her new friends. She calmed down within ____ minutes." Parents will not only love and appreciate this type of quick call, but will develop trust in you that you are concerned about their child. I mean, YOU know you care about them all, but this shows the parent that each individual child is important to them and they are not just one big group of kids to you! When I say talk about it, I mean both to the children and to the parents! At Circle Time, talk about how they are feeling about school! Perhaps do your first ever group graph called HOW DO YOU FEEL TODAY? Show the children emotion faces (perhaps have stickers or little ones to place on your chart). Talk to them about the new year and how it can be scary! Does any feel sad? Who feels happy? Who feels scared or afraid? etc. Let them put a sticker next to their name or you can put it there for them. A. Use the child's name. B. State the amount of time it took for them to settle in. C. State a favorite activity and a friend's name. "Julie had a fun morning. She settled in within 5 minutes. She played with playdough and enjoyed building a castle with blocks with her friends Joany and Robby. On Thursday, we're going to paint and she said she's pretty excited about that." You might even have a pretyped letter that has these items on them and then fill in the blanks with each item for each child (with the help of your co-workers throughout the morning) and hand them out (do NOT put them in backpacks! Have parents see them right away) to the parents as they pick up their child. If a parent wants to talk longer about their child's separation, I suggest calling them at home after school is over. I do not recommend having a long talk about it in front of the children. This can (and most likely will) add into their existing fears/anxieties. I suggest the following books to read at school and/or at home! 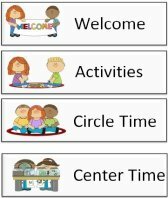 As I recommended above, make a visual schedule for the children and parents to see to help them tell time throughout the day! Put together a Parent Tip Letter with your advice for parents and how to handle separation anxiety with their children. Click here for an article on what to consider when you develop a Separation Anxiety Parent Tip Letter. You may find my resources helpful! 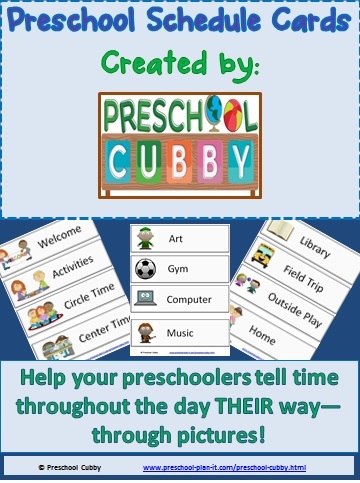 Here is the link to the Visual Schedule I have created in my store, The Preschool Cubby. Click Here to Go to my article with tips on how you can develop your own Separation Anxiety Tips for Parents Letter! 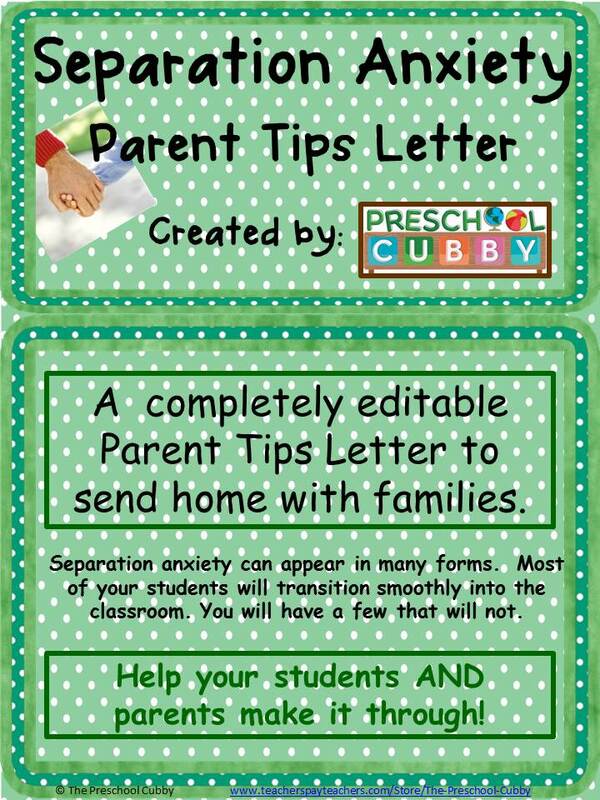 Click here for more information on my completely editable Separation Anxiety Parent Tips Letter. Separation anxiety is common and part of preschool growth and development. Not all children will experience it. However, for those who do, you and your parents can be prepared, work together and make your school year the best ever!